Written by Dr. Pete Haggenjos. In this month's video, we discuss some of the signals and symptoms our bodies give us when we are not feeling well, like fevers, congestion, and mucus production. Are these symptoms good or bad? While no doubt signs of an illness or sickness, the symptoms are actually indicating that your body is responding in a HEALTHY way! While uncomfortable, symptoms that can be supported, rather than suppressed, are helpful in our recovery and return to feeling well. My old classmate from chiropractic school Dr. Jockers has a good articledetailing how most fevers are useful to the body unless they reach very high levels (over 103-104 degrees) or last for several days consecutively. The next time you are not feeling well, perhaps take some comfort in the fact that your symptoms are part of the process of getting better. They demonstrate your healthy capacity to recover and return to feeling well. Do what you can to support rather than suppress, to build your body greater resilience going forward. 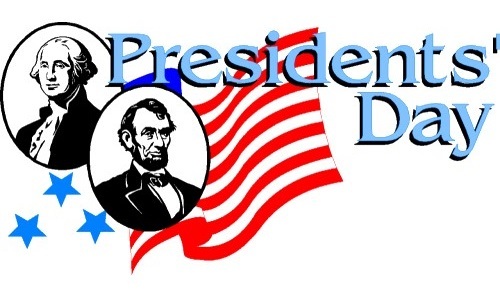 The chiropractic office will be closed Monday, February 18th for Presidents' Day. 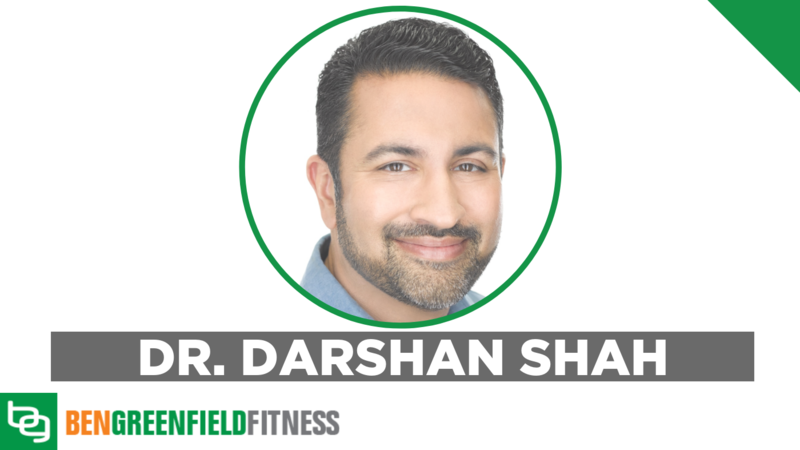 In this episode of the Ben Greenfield Fitness podcast, Ben talks to Dr. Darshan Shah. I want to highlight the segment from minutes 8:00- 26:00 where they discuss the 'minimum effective dose' of exercise and ways to include healthy movement throughout the day rather than only in the 30 or 60 minutes we are 'at the gym' or 'working out'. They discuss the opportunities for us to move more, and in different ways, throughout our days as being really important. It is hard to overcome eight hours of sedentary work each day without incorporating more variety throughout our days. It doesn't mean you have to quit your job, we just need to be creative! 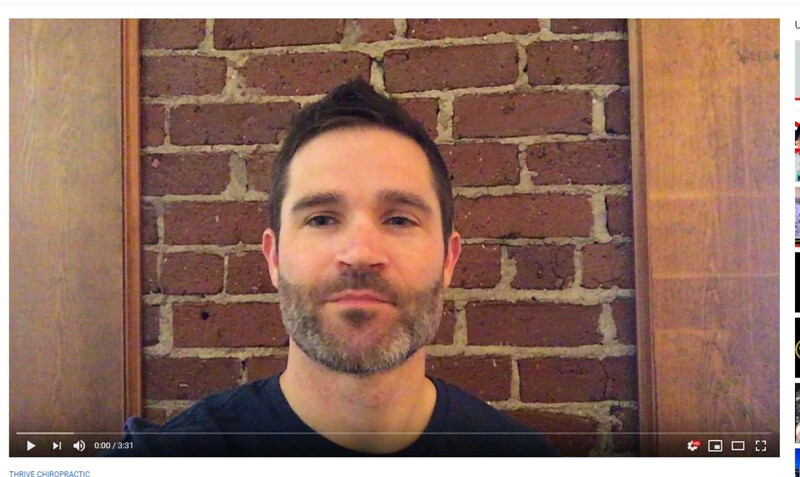 In terms of minimum effective dose of exercise, Ben talks about competitive athletes and people who are training for sport have different needs against those people who are looking to simply exercise enough to be healthy and enjoy life more fully. For the group that simply wants to include some types of exercise to be healthier (to increase mitochondrial density, lactic acid response, and VO2 max) including brief but hard intervals of running, biking, rowing, etc. are excellent. He details the work/rest time options in the podcast and this type of workout need only be done once or twice a week. Similarly, for strength training, a few sets of key exercises done infrequently, and only taking 20 minutes or so to complete, provide the necessary response to improve health and capacity. Take a listen to minutes 8:00- 26:00! Research is revealing that there is a relationship between abnormalities in the spine, the nervous system, stress and cardiovascular health. Basic science research shows that the proper development and function of the nervous system relies on proper structure and movement of the spine from an early age. We are now seeing more and more basic science and clinical research showing the relationship between abnormal spinal function and the diagnosis of all types of health challenges. In a healthy organism, higher heart rate variability represents greater adaptability to stress from its internal and external environment. 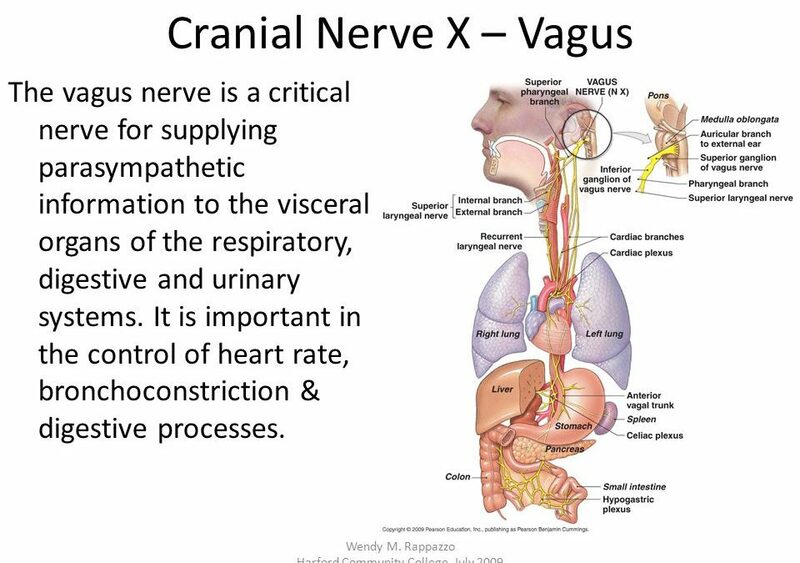 When the nervous system is free of obstructions, it can better regulate anatomic, physiologic, and biochemical alterations and adapt to stress as needed. This study, published in the Journal of Manipulative and Physiological Studies, is on e of e harticel looking at the effect of chiropractic care on heart rate variability. 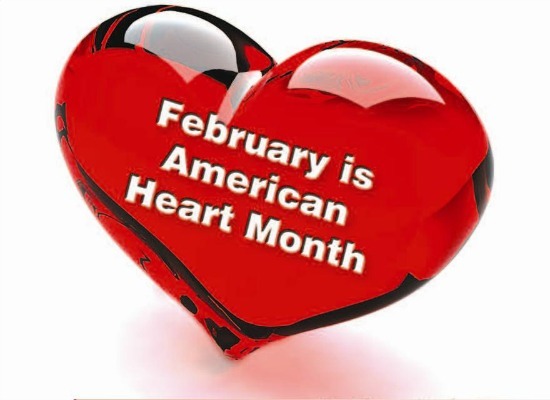 February is National Heart Health Month. Heart disease is far too common so I am glad it gives us an opportunity to look at improving health. I encourage everyone to dig deep and come up with your own conclusions as our typical 'standard dietary recommendations' and statin treatments are simply not getting the results that we want. I believe you will find there are better ways. Divide your HDL level by your total cholesterol. Divide your triglycerides by your HDL. 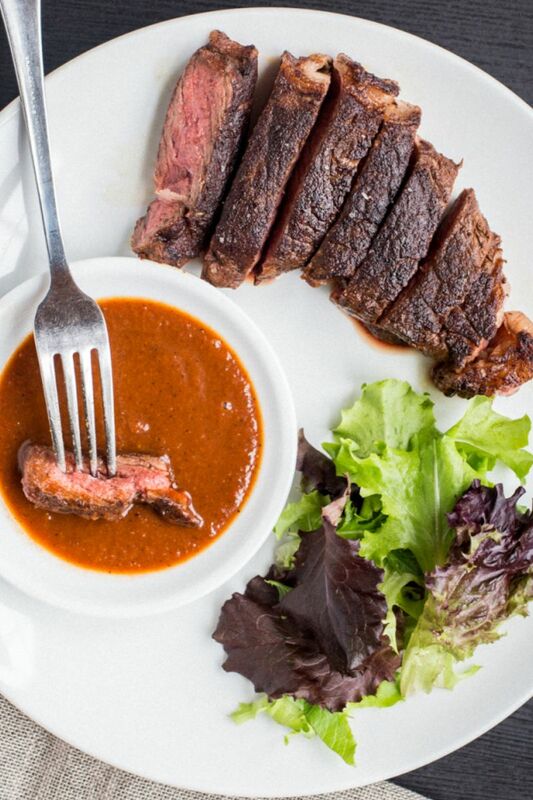 Treat your Valentine (or yourself) to a delicious Cacao-Rubbed Steak this month. The Domestic Man shares this Paleo-friendly steak recipe that's cooked on the stove top so you don't have to grill outside in the February cold. Pair with a simple salad for a simple yet elegant Valentine's Day meal. Choosing a steak that comes from grass-fed cows provides a higher amount of heart healthy Omega-3's than traditional grain fed cows. You can get grass fed beef locally at the Hyde Park Farmer's Market from Eaton Farms and Grassroots Farm and Foods. If you have freezer space, buying a quarter or half beef is an economical way to enjoy these benefits.